The first four Ramones albums "Ramones" (1976), "Leave Home," "Rocket to Russia" (both 1977) and "Road to Ruin" (1978) arrive in stores today pressed from the original master tapes on 180-gram vinyl, each retailing for $17.98. This might seem a small thing and in some ways, it is. This music is not new. But it is unimpeachable. Four of the best rock records of the 1970s, sounding as good as they possibly can in 2011, on the medium for which they were recorded. 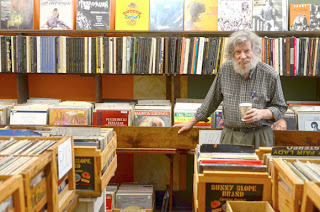 wonderful story about a world class record store! For record collectors, aka crate diggers, rare is in the eye of the beholder. Local vinyl vendors know when out-of-town customers make a stop in Cincinnati, they are looking for very personal definitions of buried treasure. According to Mike Markiewicz, who owns Another Part of the Forest in Over-the-Rhine, collectors from Russia heard about his store through the Internet equivalent of word-of-mouth. They bought a bulk of 70s pop-rock albums from artists like The Eagles, LPs you could probably score at any CD Game Exchange in the dollar bin. "This place isn't really a record store," Markiewicz says. "I consider it more like a museum of natural history. You never know what people will come in looking for, which is why I carry a little bit of everything." 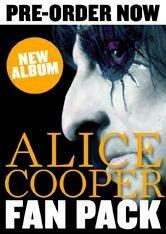 Featuring Alice Cooper’s latest album ‘Welcome 2 My Nightmare’ including 2 exclusive bonus tracks! Classic Rock Presents: Alice Cooper Welcome 2 My Nightmare' a unique opportunity for fans to get the new Alice Cooper album one month before the official UK release date. The pack includes a highly-collectable special issue of Classic Rock's magazine dedicated to Alice Cooper's career. Pre-order before 15th August 2011, and you'll receive an additional personalised poster. The special edition poster artwork will incorporate the names of everyone who pre-orders the Fan Pack before this date. The Alice Cooper Fan Pack includes Welcome 2 My Nightmare, his brilliant new studio album, plus a 132-page magazine dedicated to the original shock rock legend. Fans who buy the Alice Cooper Fan Pack be able to hear Welcome 2 My Nightmare weeks before it hits the shelves in record stores. What’s more, the Fan Pack version of Welcome 2 My Nightmare comes with two exclusive bonus tracks that won’t appear on the record store version of the album. The Fan Pack magazine is 100% Alice-approved and contains a major brand new interview with Alice himself that reveals the secrets of the new album and looks back over a 45-year career that has seen him sell more than 50 million records and change the face of rock forever. Welcome 2 My Nightmare is the much-anticipated sequel to 1975’s legendary Welcome To My Nightmare, and features a stellar array of collaborators, all of whom are interviewed in the Fan Pack magazine. The magazine is also packed with a wealth of rare shots of the great man from Alice’s personal archive, plus testimonies from his famous fans. A must for all Alice Cooper fans. 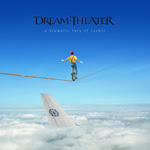 The mighty Dream Theater return, stronger than ever, with their most powerful album yet, titled A Dramatic Turn Of Events, featuring “On The Backs Of Angels.” The much-anticipated platter, which marks new drummer, Mike Mangini's recorded debut, will be released via Roadrunner Records on September 13th and will be supported by a massive world tour. Queen: one of the biggest bands the world has ever seen. 40 Years of Queen by Harry Doherty and introduction by Brian May and Roger Taylor, is an official publication, fully approved by the band, telling their story right from the very beginning. It showcases stunning moments in the band’s history through photographs, as well as truly unique pieces of memorabilia from the private collections of Queen’s members. 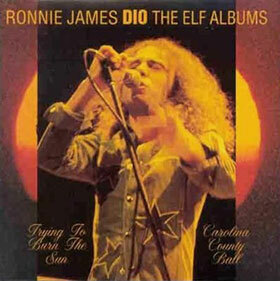 The late Ronnie James Dio was famously the frontman for Rainbow, Black Sabbath/Heaven and Hell and, of course, Dio. But before then he fronted Elf (previously Electric Elves), whose rare 1971 tracks now are being released. Described as the work of a “rock/honky tonk/blues band,” Elf’s forthcoming release, And Before Elf… There Were Elves, shines a light on Dio’s early vocal skills. "Glee" has already charted with a dozen albums and EPs, and now they're set to release their very first live album: the companion soundtrack to their upcoming "Glee" 3D concert film. "Glee: The 3D Concert Movie" soundtrack features the cast performing some fan favorites and some of their own biggest hits, including the original song "Loser Like Me," their cover of Journey's "Don't Stop Believin'," and their version of Lady Gaga's "Born This Way." The Dalton Academy Warblers also appear here, offering up their hit versions of Katy Perry's "Teenage Dream," Pink's "Raise Your Glass," and Paul McCartney's "Silly Love Songs." Covers of tracks by Britney Spears, the Beatles, Katy Perry, Michael Jackson, Cee Lo Green, and Barbra Streisand are also included. A version of Florence + The Machine's "Dog Days Are Over" is included as a bonus track, for some reason. The soundtrack hits stores on Aug. 9, while fans can catch "Glee: The 3D Concert Movie" in theaters beginning Aug. 12 for a limited two-week engagement. Glee premieres its third season on Fox on Sept. 20. In 1954, Sun Records released the first Elvis Presley single, "That's All Right", a cover of Arthur Crudup's 1946 tune "That's All Right, Mama". Only about 7,000 original copies were pressed, but the disc became a local hit in Memphis. After the session, Bill Black was said to have remarked, "Damn. Get that on the radio and they'll run us out of town." In 1966, the Monkees record the theme song to their TV show, which will begin airing next Fall. Although the tune appeared as an album track on their self-titled debut LP and got some AM radio play, it was not released as a single. 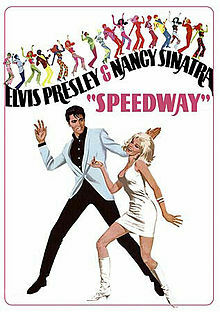 In 1967, Elvis Presley was working on his latest movie Speedway co-starring Nancy Sinatra at the MGM Soundstage, Hollywood, California. (It was Presley’s twenty-seventh film). In 1968, Pink Floyd played the second of three nights at the Boston Tea Party, Boston, Massachusetts. In 1969, the Rolling Stones' "Honky Tonk Women" was released. In 1975, Paul McCartney and Wings went to No.1 on the US singles chart with “Listen To What The Man Said,” his fourth U.S. #1, a #6 hit in the U.K. Wings also had the U.S. #1 album chart with “Venus And Mars.” Paul McCartney's fourth #1 album since The Beatles. In 1976, Deep Purple split up at the end of an U.K. tour. David Coverdale went on to form Whitesnake, Jon Lord and Ian Paice formed a band with Tony Ashton. The classic line up of Blackmore, Gillan, Glover, Lord & Paice reformed in 1984. Glenn Hughes returned to Trapeze and Tommy Bolin put together his own band, (but would die before the end of the year). In 1986, Genesis went to #1 on the US singles chart with 'Invisible Touch'. The bands former lead singer Peter Gabriel was at #2 with 'Sledgehammer'. In 1986, Patti LaBelle went to #1 on the US album chart with 'Winner In You'. In 1987, Bruce Springsteen played his first ever show behind the Iron Curtain when he appeared in East Berlin in front of 160,000 people. The show was broadcast on East German TV. In 1999, They Might Be Giants released the album "Long Tall Weekend." It was released exclusively in the MP3 format. In 2001, soul and gospel singer Judy Clay died. Was a member of the Drinkard Singers - who later became better known as The Sweet Inspirations , also worked with Billy Vera, and had hits with William Bell (Private Number), and sang with Wilson Pickett and Ray Charles. In 2005, James Blunt was at #1 on the U.K. singles chart with “You're Beautiful,” from his debut album BacktTo Bedlam. The UK singer songwriters first #1, spent 5 weeks at the top of the charts. In 2007, US sales figures were released that showed CD sales falling a further 11.7% since last year. In contrast, vinyl record collectors pushed the demand for 78 RPM platters up by 12.9%. In 2010, Ozzy Osbourne and his former Black Sabbath band mate Tony Iommi settled a long-running legal dispute over the use of the group's name. Ozzy had filed suit against the guitarist in May of last year, accusing Iommi of falsely proclaiming to be the sole owner of the Black Sabbath name by lodging an application with the US Patent and Trademark Office. The pair released a joint statement confirming they have settled the dispute "amicably". Born on this day in 1931, Thomas Allen. (Papa Dee), percussionist, War. Died from a heart attack while performing on stage on 30th August 1988. Born on this day in 1952, Allen Collins, guitar, Lynyrd Skynyrd, (1974 US No. 8 single, 'Sweet Home Alabama', 1982 UK No.21 single 'Freebird'). Collins was behind the wheel in a car accident in 1986 that killed his girlfriend and left him paralyzed from the waist down. He died on 23rd January 1990 aged 37. HBO has acquired the North American broadcast rights to Martin Scorsese’s GEORGE HARRISON: LIVING IN THE MATERIAL WORLD, which will debut in two parts — on October 5 and October 6, 2011 — exclusively on HBO. London — Lionsgate Home Entertainment UK announced that it will be releasing the film in the UK on 10th October 2011 in three editions – DVD, Blu-ray and DVD Double play (DVD/ BD combi pack), and a beautifully packaged DVD / Blu-Ray Deluxe Edition, which includes an exclusive CD of previously unheard tracks from George Harrison, and a book of photography to accompany the film. 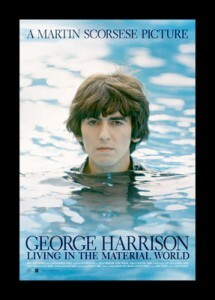 GEORGE HARRISON: LIVING IN THE MATERIAL WORLD focuses the imaginative and inspired eye of one of cinema’s most pre-eminent filmmakers on one of the world’s most influential men. The film takes viewers on the musical and spiritual voyage that was George Harrison’s life, much of it told in his own words. The result is deeply moving and touches each viewer in unique and individual ways. Academy Award-winning director Martin Scorsese traces Harrison’s life from his musical beginnings in Liverpool through his life as a musician, a seeker, a philanthropist, and filmmaker. Scorsese weaves together interviews with Harrison and his closest friends, performances, home movies, and photographs. Much of the material in the film has never been seen (or heard) before. The result is a rare glimpse into the mind and soul of one of the most talented artists of his generation and a profoundly intimate and affecting work of cinema. The film includes interviews with Eric Clapton, Terry Gilliam, Eric Idle, George Martin, Paul McCartney, Yoko Ono, Tom Petty, Phil Spector, Ringo Starr and Jackie Stewart. They speak honestly and frankly about George’s many talents and contradictions. The film was produced by Scorsese (through his Sikelia Productions banner), Olivia Harrison (through her Grove Street Pictures banner) and Nigel Sinclair (through Exclusive’s documentary label, Spitfire Pictures). Margaret Bodde served as the film’s executive producer and the film was edited by David Tedeschi (who previously worked with Scorsese, Bodde and Sinclair on the Grammy Award-winning NO DIRECTION HOME: BOB DYLAN and with Scorsese and Bodde on the Rolling Stone concert film SHINE A LIGHT and PUBLIC SPEAKING). Scott Pascucci also served as an executive producer for Grove Street. “This film was an extraordinary journey for all involved and it has been a sheer pleasure working with Martin Scorsese and Olivia Harrison to bring the amazing story and legacy of George Harrison to life,” adds Sinclair. Additionally, in late September, Abrams Books will publish Olivia Harrison’s George Harrison: Living in the Material World, a personal archive of photographs, letters, diaries, and memorabilia from George’s life that reveals the arc of his life, from his guitar-obsessed boyhood in Liverpool, to the astonishment of the Beatles years, to his days as an independent musician and bohemian squire. The book release is intended to coincide with the release of Scorsese’s film. The latest edition of the world's best-selling, multi-artist album series, NOW That's What I Call Music!, will be released on August 9. NOW That's What I Call Music! Vol. 39 features 16 current major chart hits, plus four up-and-coming "NOW What's Next" New Music Preview tracks. Included in NOW 39's CD and digital tracklist are top chart hits from Katy Perry, LMFAO featuring Lauren Bennett and GoonRock, Pitbull featuring Ne-Yo, Afrojack and Nayer, Lady Gaga, Britney Spears, Jennifer Lopez featuring Pitbull, Lupe Fiasco, Tinie Tempah featuring Eric Turner, The Black Eyed Peas, Bruno Mars, Selena Gomez, Jessie J featuring B.o.B, Hot Chelle Rae, OneRepublic, Jason Aldean, and Blake Shelton, plus "NOW What's Next" emerging tracks from Maria K., Jessica Sutta, Chiddy Bang, and DEV featuring The Cataracs. The "NOW What's Next" bonus track program featured on each numeric NOW release continues to preview hot new artists with tomorrow's biggest hits. NOW 39 showcases the first "What's Next" success story, with the track "Tonight Tonight" by Hot Chelle Rae, which was included on NOW 38. The track has since become one of the summer's biggest hits, therefore warranting a spot on this latest volume as a NOW-worthy smash. Preparations are also underway, with major initiatives planned, for the November release of NOW That's What I Call Music! Vol. 40 in standard and expanded deluxe CD and digital editions, celebrating the NOW series' unparalleled success. NOW's U.S. sales total more than 80 million CDs and album downloads since the series made its Stateside debut in 1998. The NOW That's What I Call Music! series is a joint venture from EMI Music North America, Sony Music Entertainment, and Universal Music Group. NOW That's What I Call Music! Vol. 39 will be distributed by EMI Music North America. NOW and NOW That's What I Call Music! are registered trademarks of EMI (IP) Limited. The NOW That's What I Call Music! series debuted in the U.S. in 1998 after the brand had been a multi-platinum international success for 15 years. The series has generated sales exceeding 200 million albums worldwide, including more than 80 million copies in the U.S. Every album in the numeric U.S. series has reached Billboard's Top 10, and 15 NOW releases have reached #1.